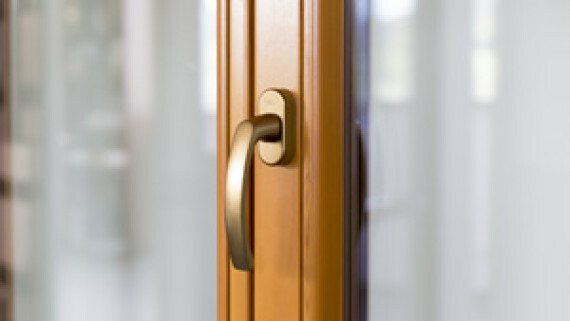 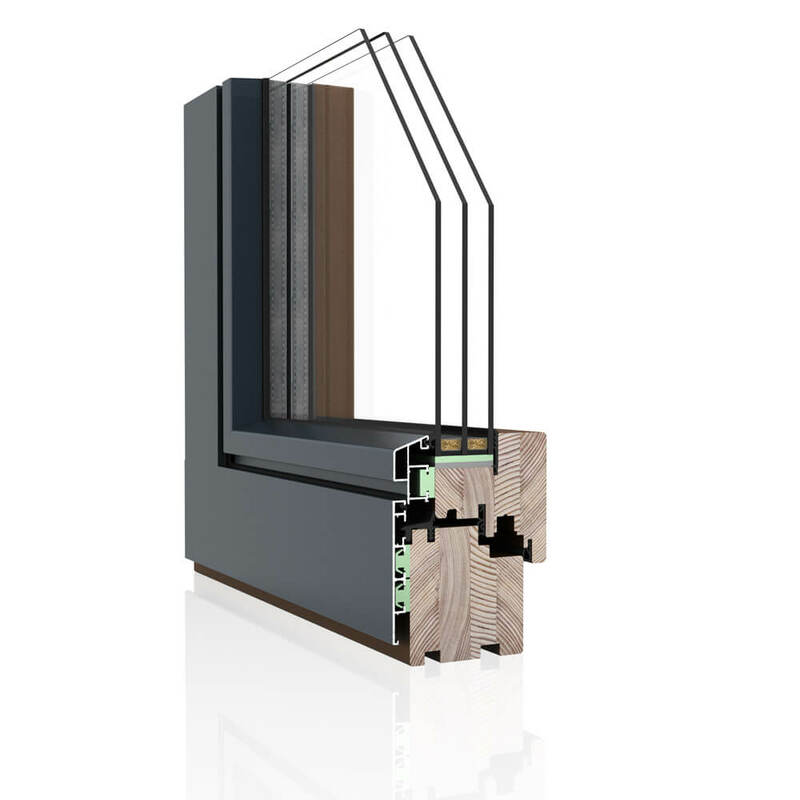 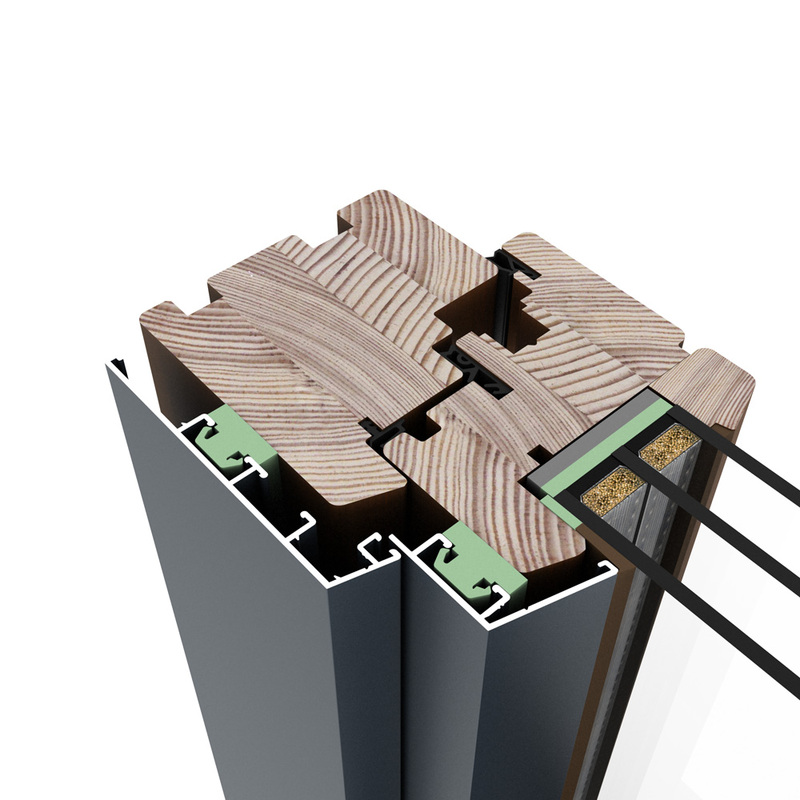 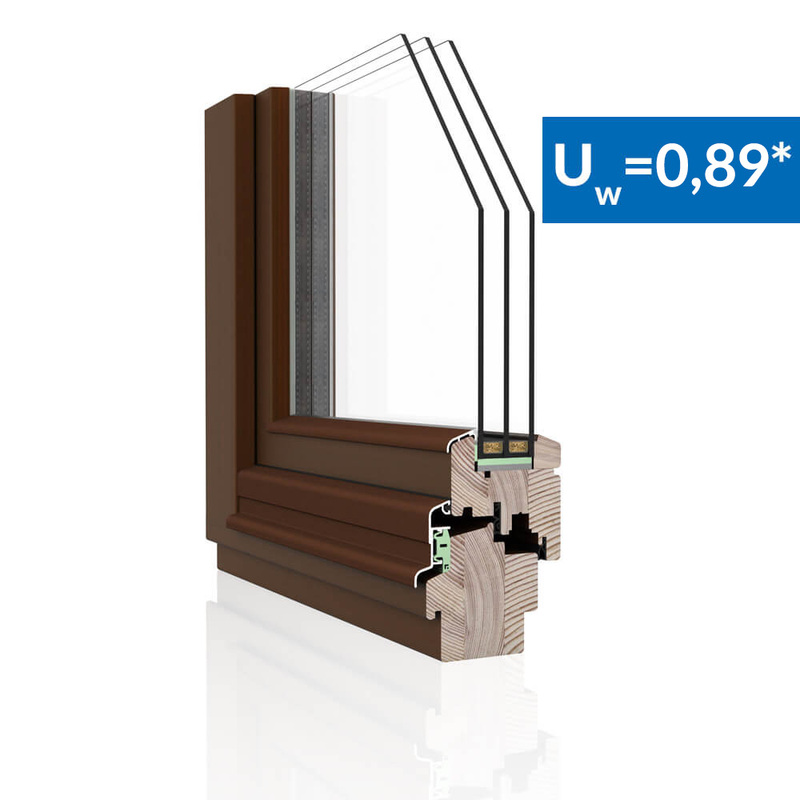 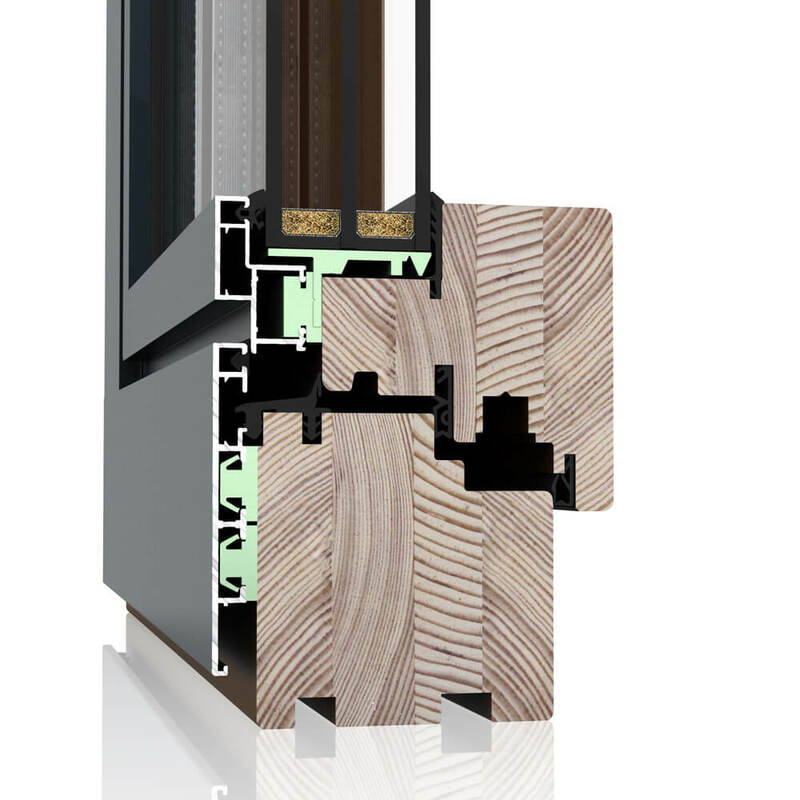 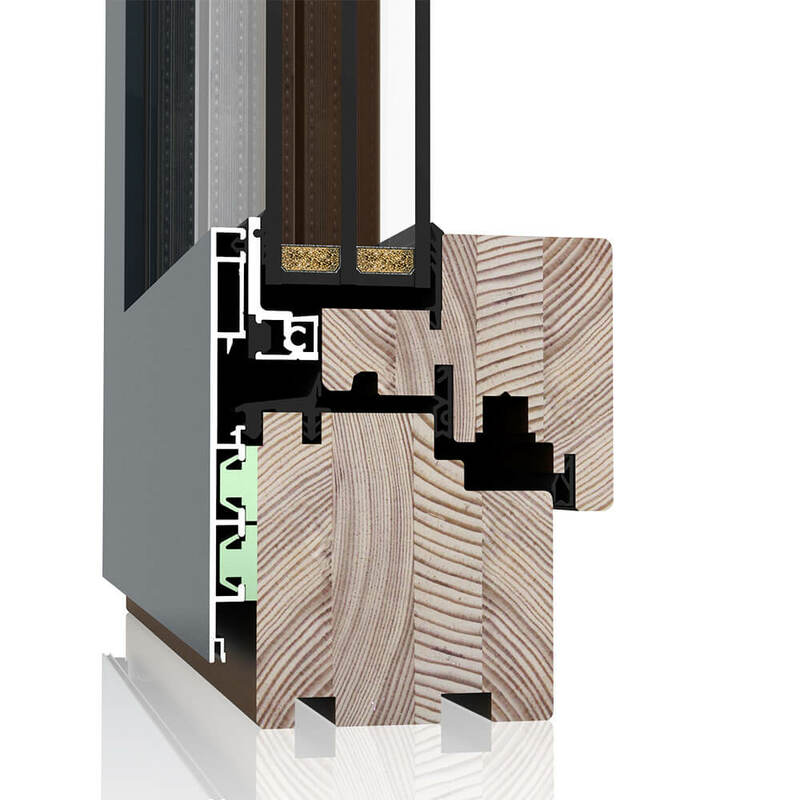 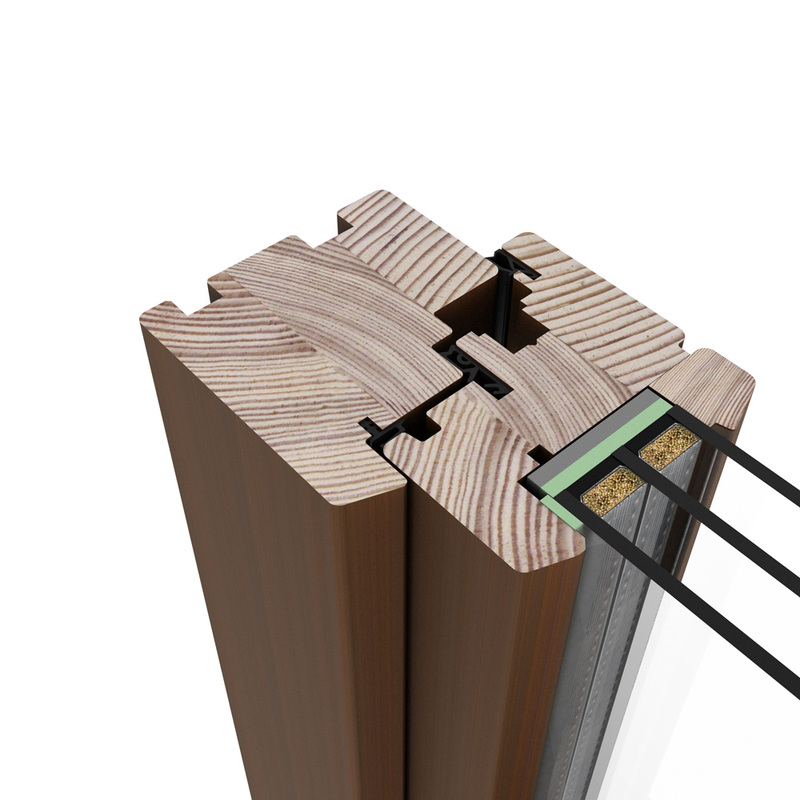 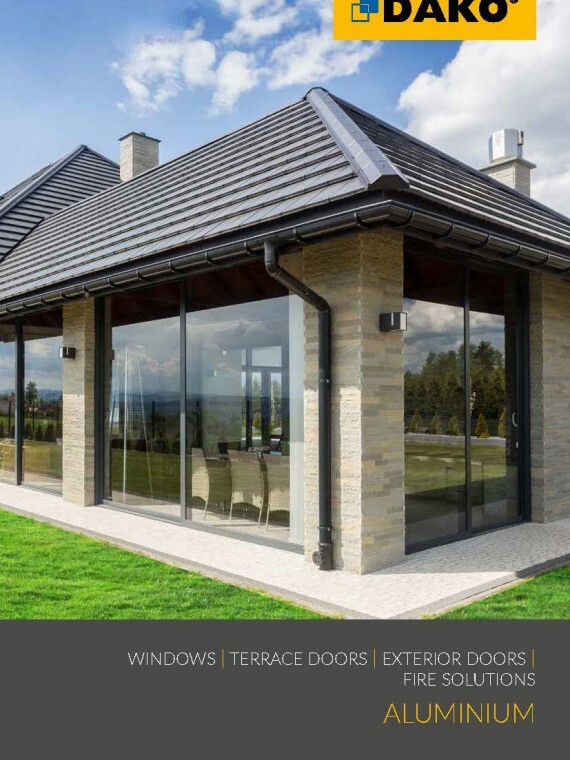 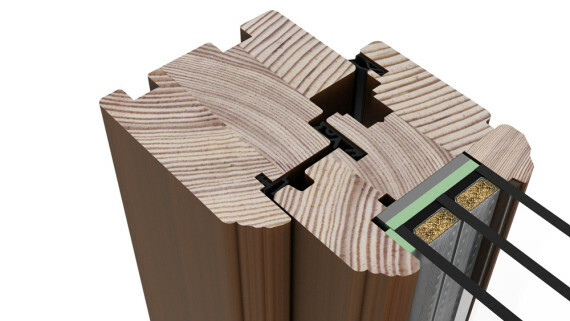 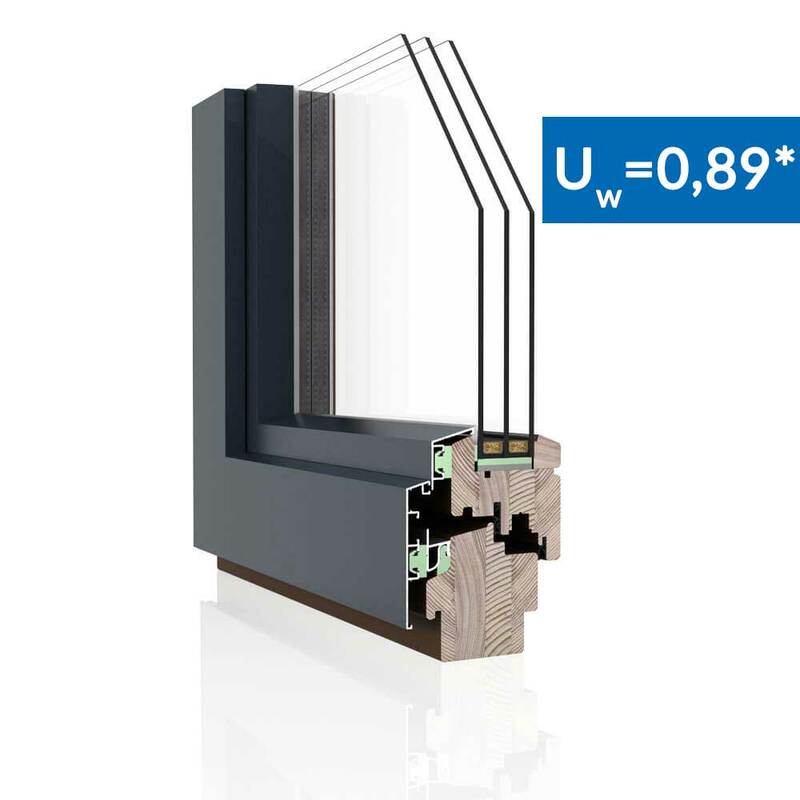 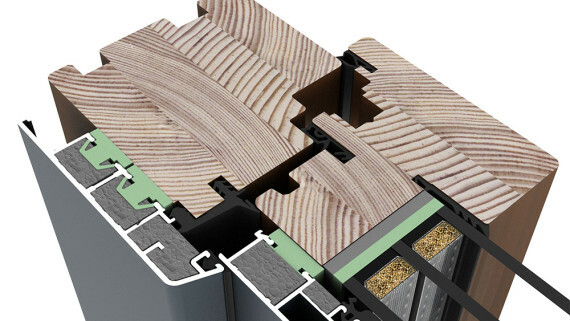 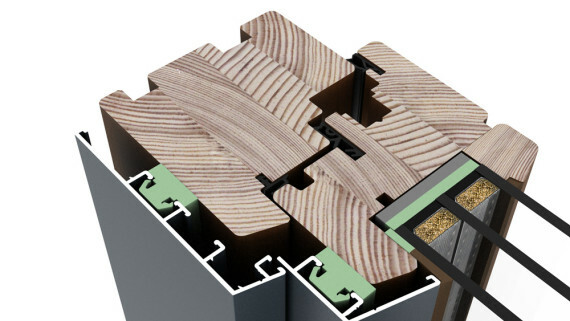 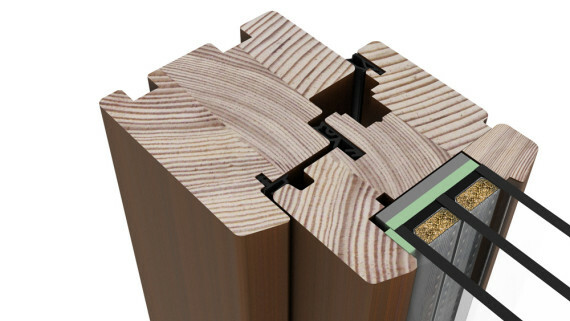 Carefully selected wood combined with aluminium profile ensures excellent thermal and acoustic insulation of the window along with durability and resistance to weather conditions. 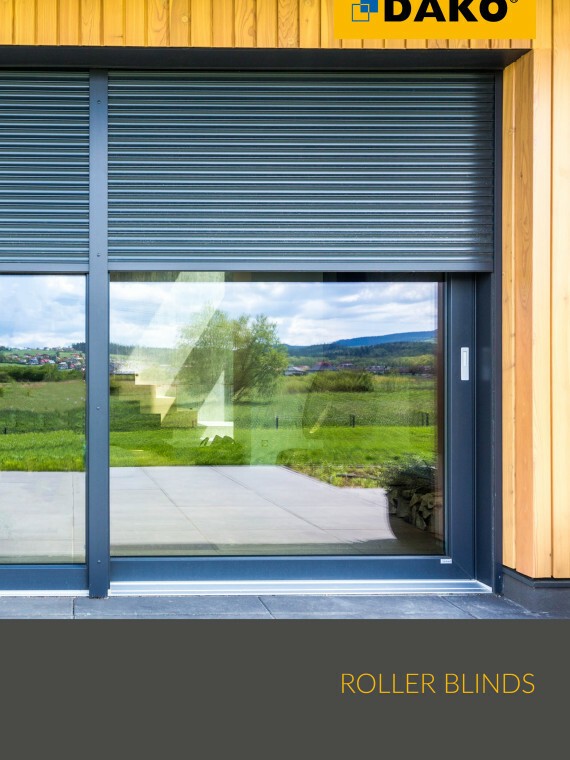 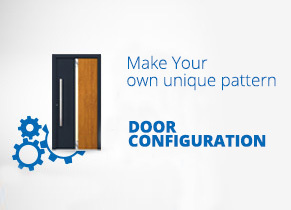 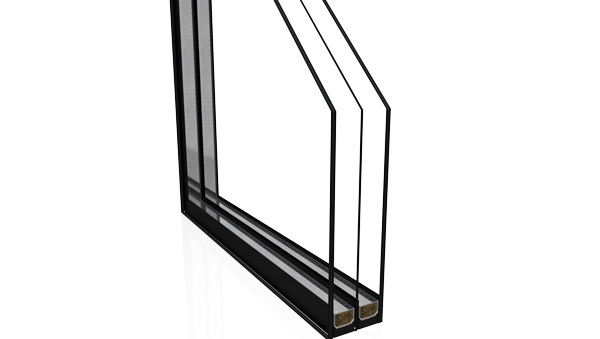 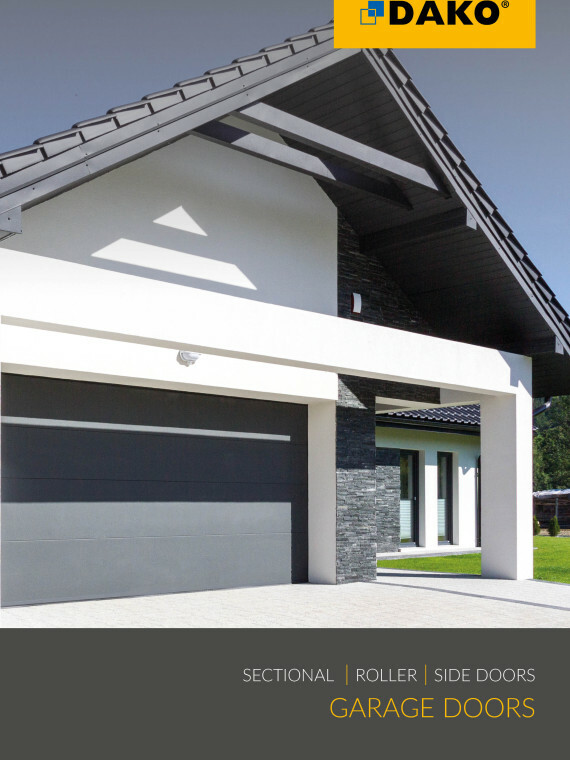 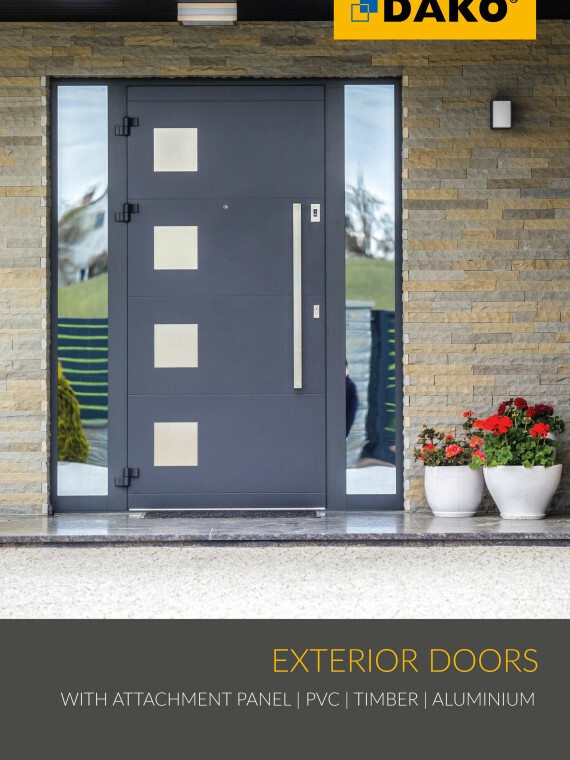 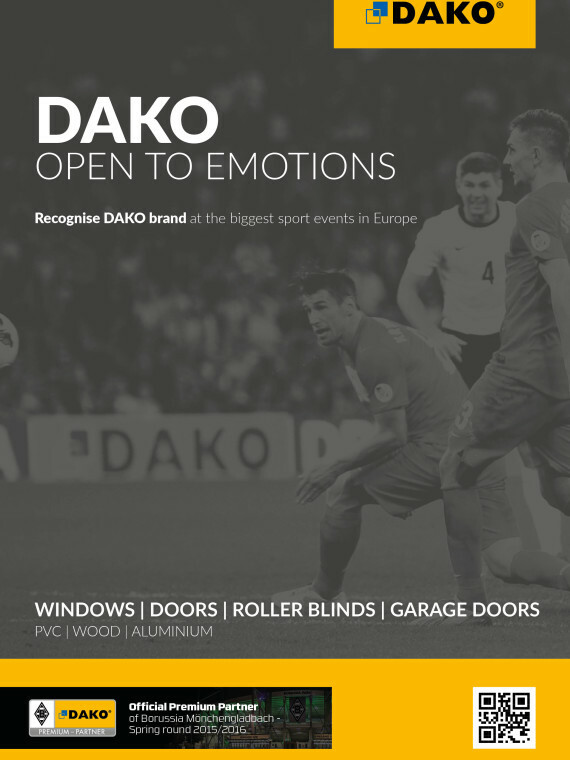 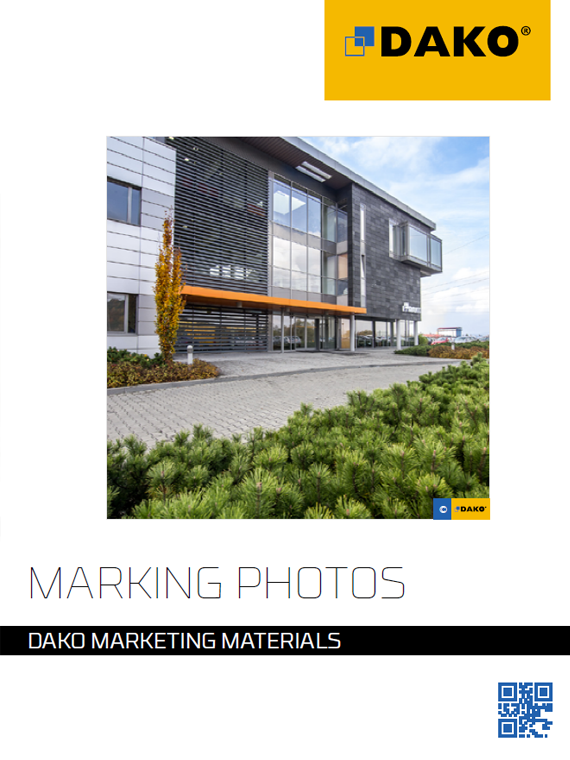 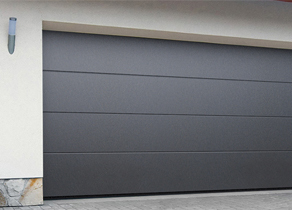 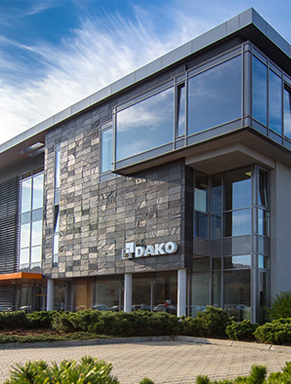 The choice from 9 shapes of aluminium profile will meet the expectations of the most demanding customers. 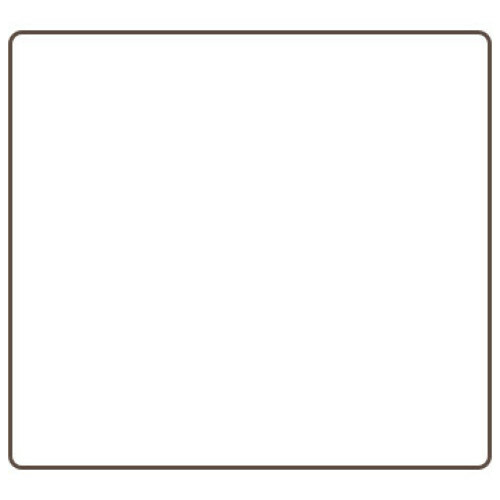 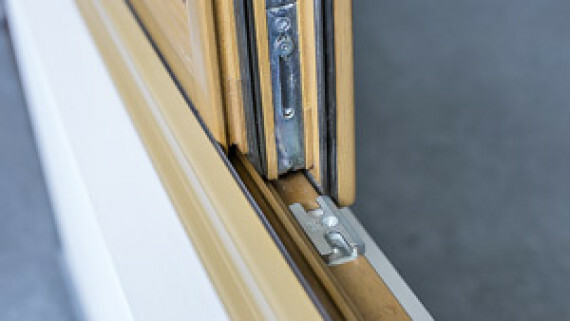 It also gives the posibility to arrange and adjust windows to individual building character. 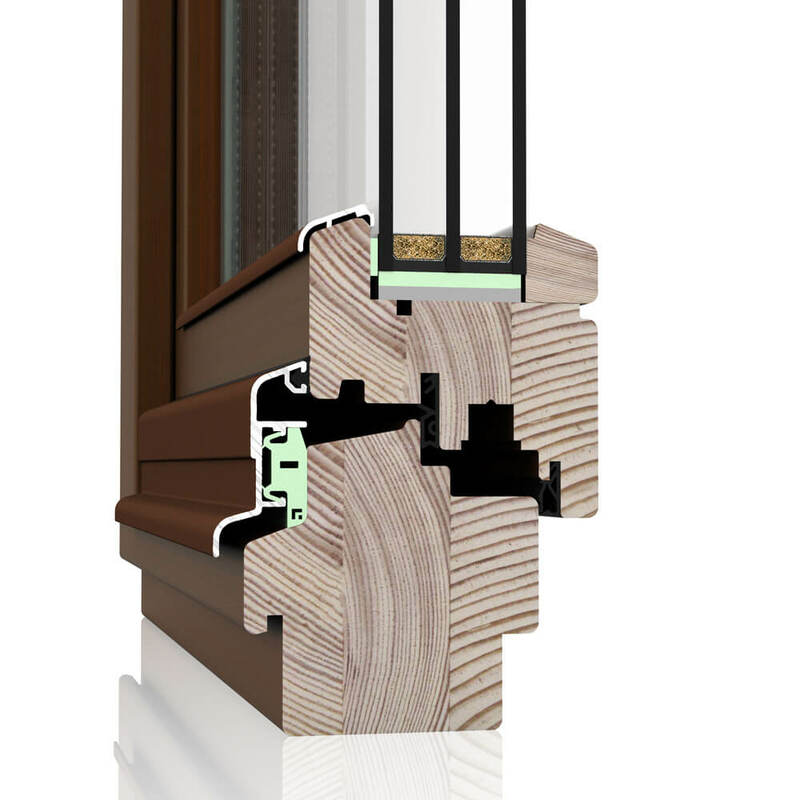 Advanced and original instalation of the glass on seals provides the unique aesthetics of the window. 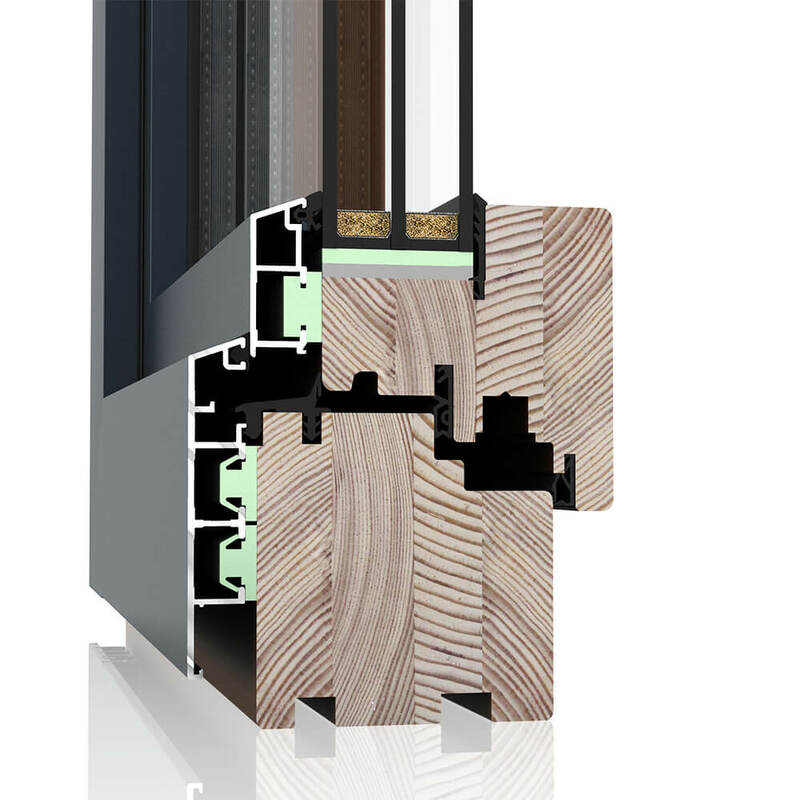 By using triple glazing with noble gas, windows gain excellent thermal and acoustic insulation and also provide highest performance comfort. 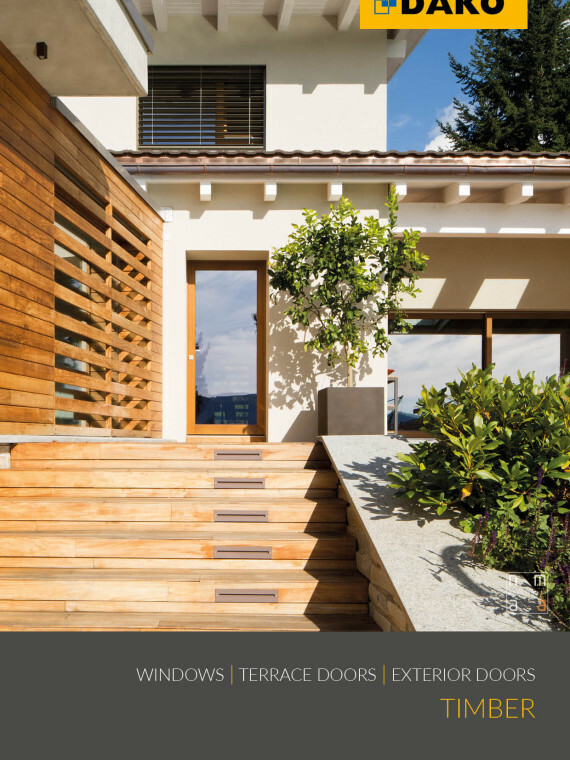 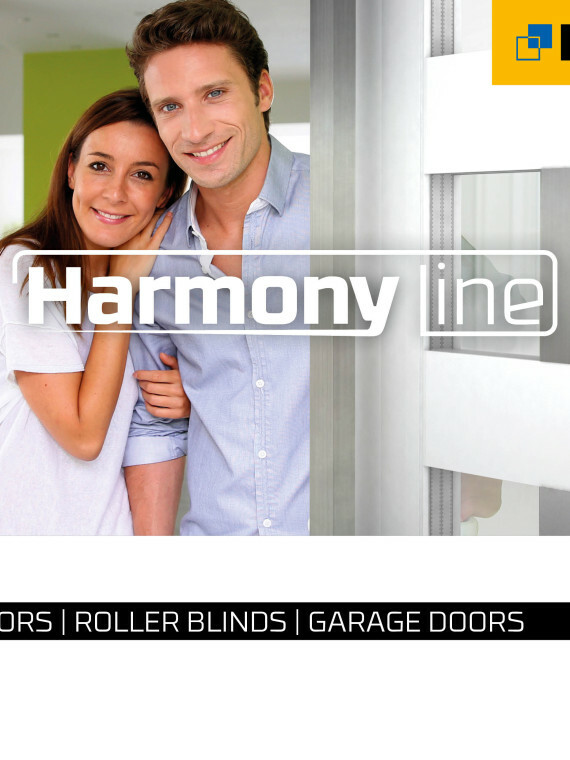 Wide range of window frames colours enables arranging and adjusting timber products to individual building character. 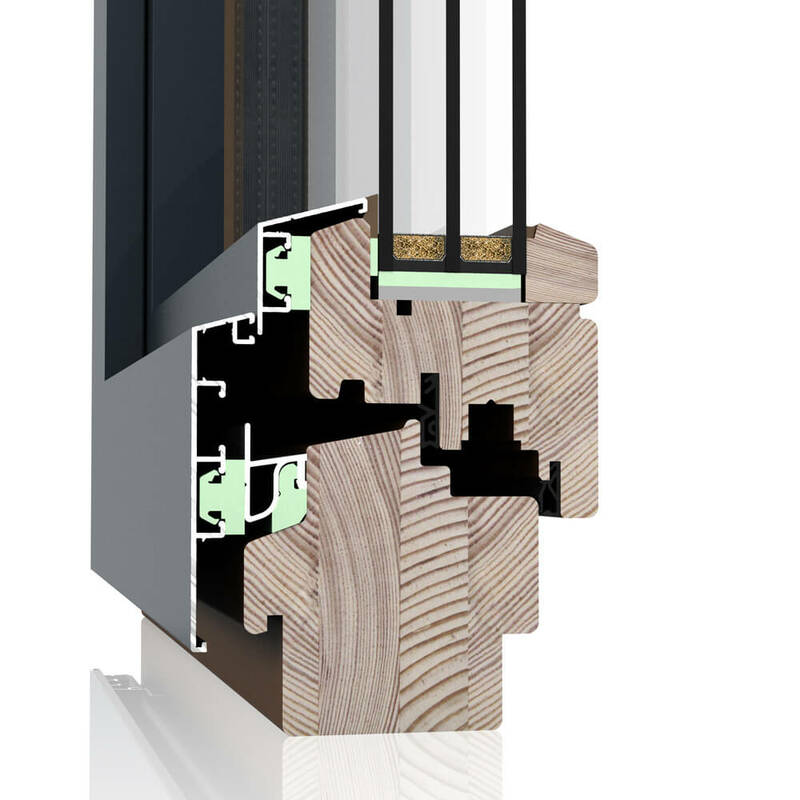 Energy-efficient timber windows with aluminium cladding ensure excellent thermal and acoustic insulation along with durability and resistance to weather conditions. 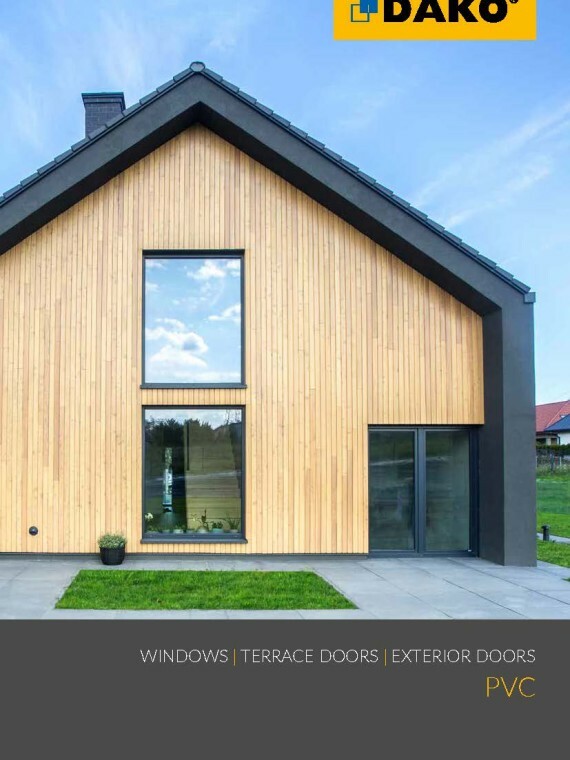 Natural beauty of wood strengthened with aluminium cladding ensures prestigious design, remarkable durability, and also highlights unique style of building. 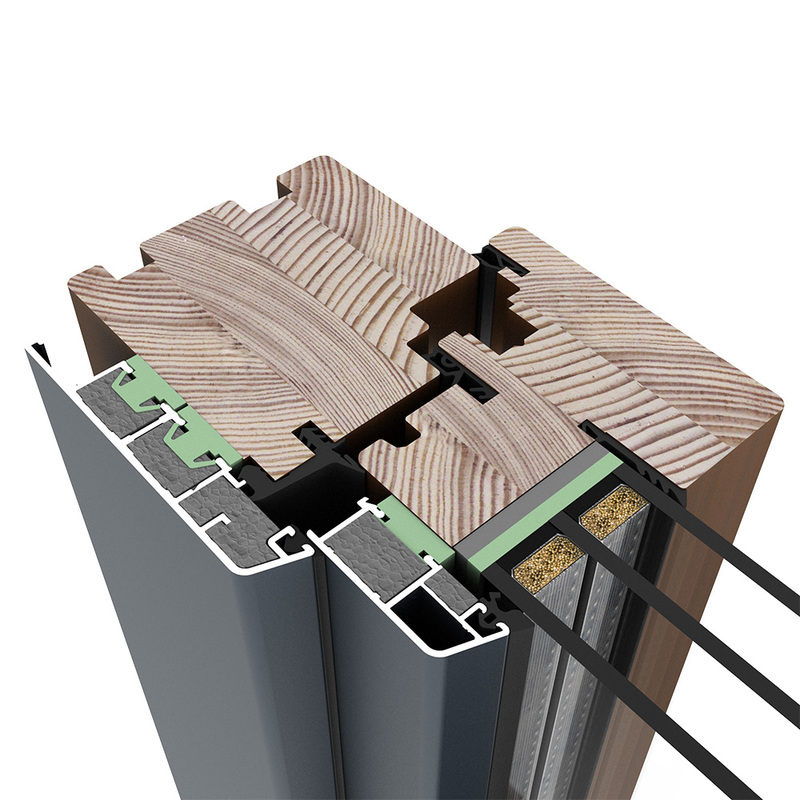 Decorative milling of sashes external edges and glazing beads not only gives the windows an elegant and universal character but also enhances unique style of building.